It is that time of year again to get your Recycled Cork Stash out and get crafty!! 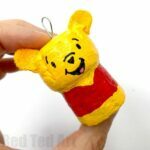 We particularly love making DIY Cork Ornaments out of our corks – whether they are ordinary wine corks or champagne corks.. though I do rather love champagne corks with their perfect “heads” shaped tops! 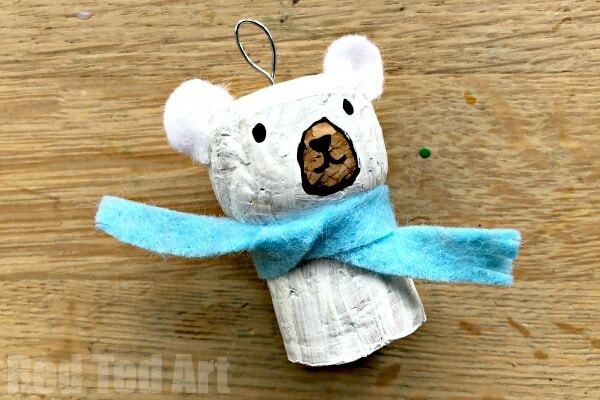 But wear not.. today’s craft would look nice made from either a champagne or a wine cork!!! 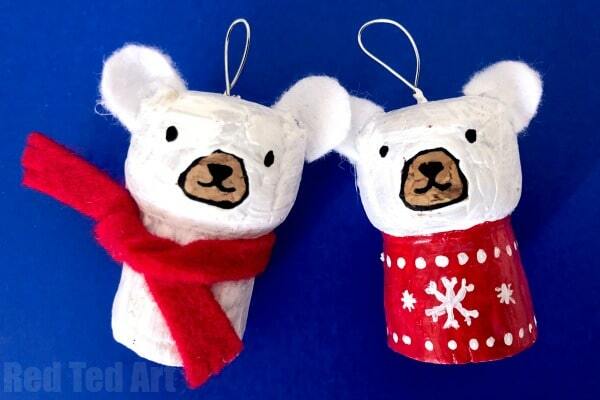 We have an adorable and easy Cork Polar Bear Ornament for you two day – not just one, but two different versions. 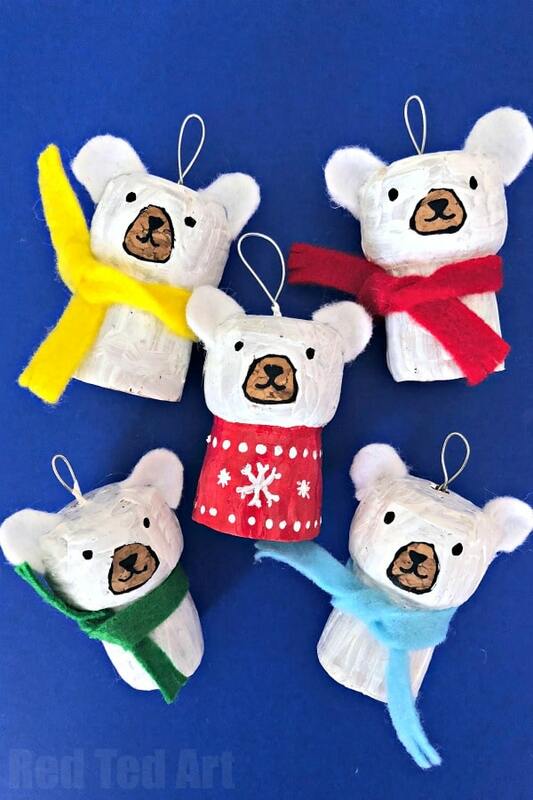 I really can’t decide whether I like the Polar Bear in Scraf or the Polar Bear in an Christmas Sweater more!! I think they are both adorable. So I share both with you here today! 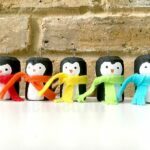 Today’s little polar bear joins our family of Penguin Cork Ornaments from last year, as well as our favourite Snowman Corks and Santa Corks! 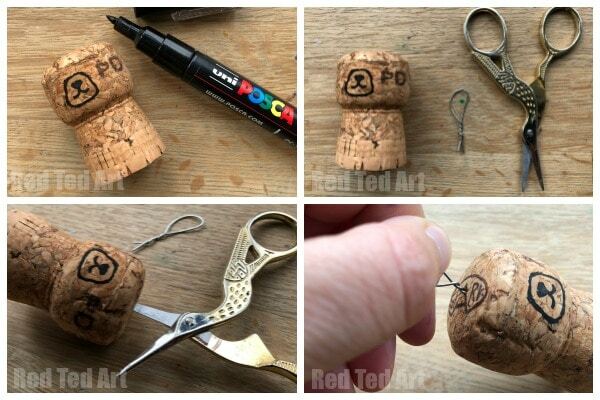 Begin by choosing the front of your cork face – choose a part with no writing on if possible! 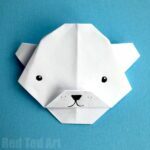 And draw on your polar bear’s snout! 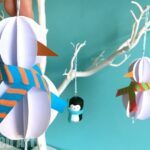 Next, add a little wire for holding and hanging! We clipped some craft wire. Made a hole in the top of the cork with some scissors (or anything pointy) and twisted the craft wire in. 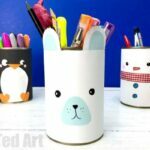 If you wish you can secure with a little glue! 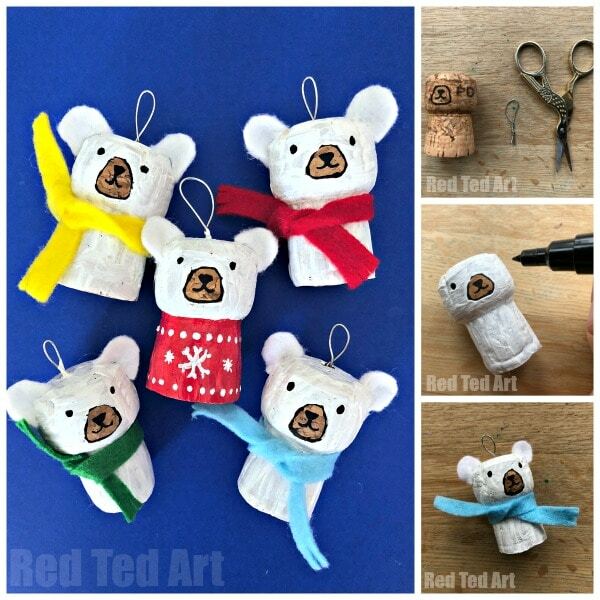 Now you have something to hang your cork polar bear ornaments from, but also something to “hold” whilst painting your ornament into Polar Bear White! 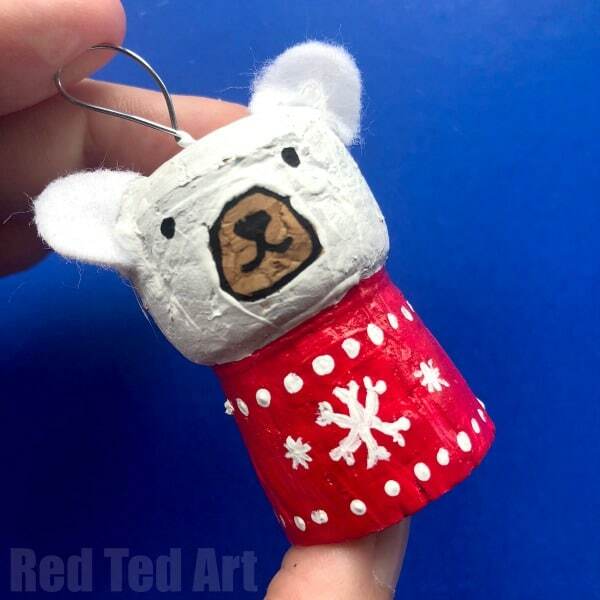 Time to paint your polar bear ornament white! 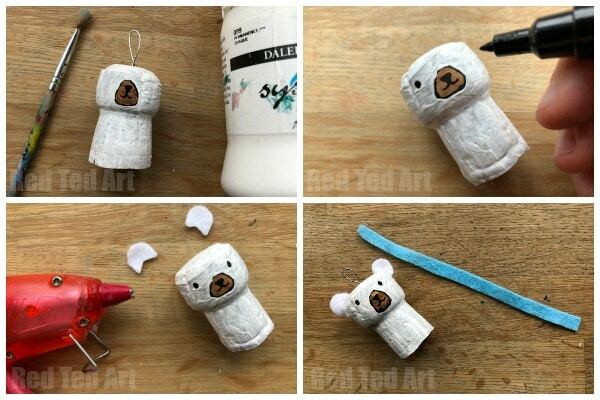 Paint your polar bear cork white – but leave the snout brown and let dry! Draw on some eyes with your black pen. Or use black paint and a toothpick. 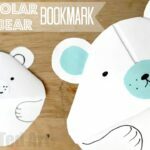 Cut out some small white felt ears and glue on with a hot glue gun! 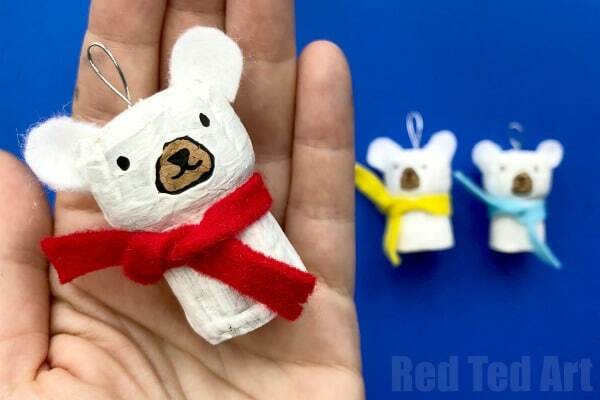 Finally, cut out a strip of felt as a scarf for your cork polar bear ornament and tie around it’s neck. 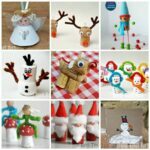 Alternatively, get some more paint out and paint on a red christmas jumper. 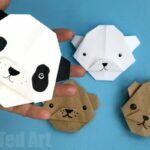 Let dry and add more details in white!